I remember the circa 1970 receiver my dad installed in our living room when I was a kid. It tuned in local radio stations and let my dad hook up his turntable and spin Chuck Mangione records, and that’s all it did. At the time, it was state-of-the-art. When I started building my own living room setup, I wanted the same basic features my dad's system had. My entry-level Sony STR-DH190 lets me listen to local radio and has inputs for my Pro-Ject Debut Carbon turntable. It cranks out 90 watts per channel, which works nicely with my Klipsch bookshelf speakers. It’s the central piece my system is built around. These days, a stereo receiver still, by definition, has an AM/FM tuner. But they’ve also evolved since the 1970s: mine has multiple analog and digital inputs, Wi-Fi and Bluetooth connectivity, and even built-in music streaming apps. 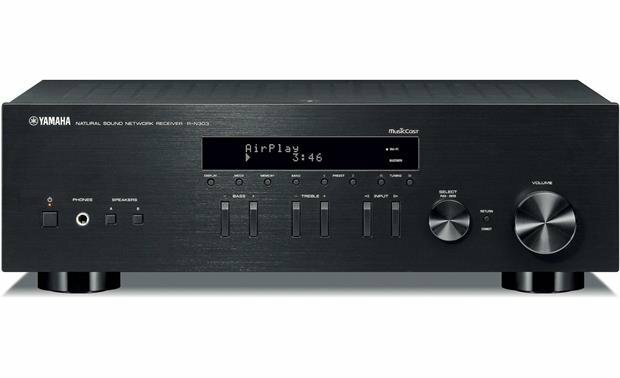 Let’s look at what a modern stereo receiver can do, so you can decide which features you need before you go shopping. 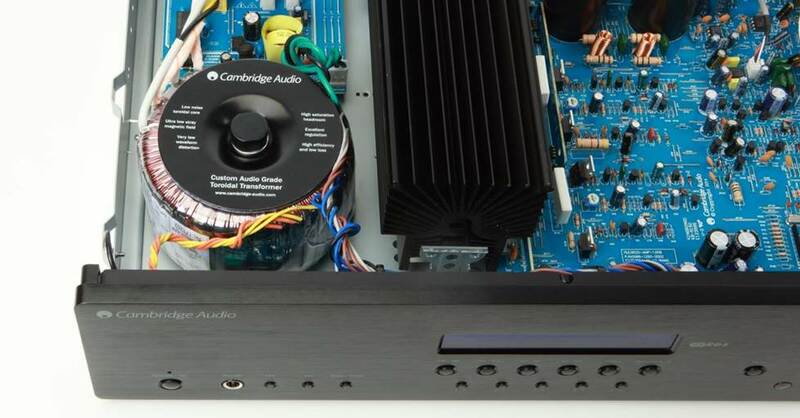 The Cambridge Audio SR20 receiver is powered by a high-current toroidal transformer (lower left) that makes music with dynamic peaks sound lifelike and natural. 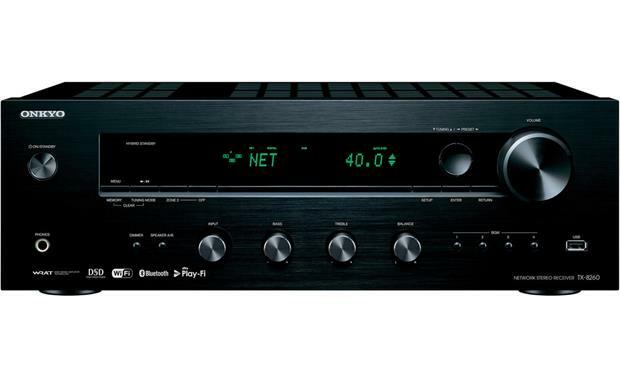 To illustrate some of the basic features you can expect from an entry-level receiver, let’s take a look at the popular Yamaha R-N303 receiver. Our customers love this receiver for its versatility and reasonable price. The Yamaha R-N303 offers plenty of analog, digital, and wireless functionality at an entry-level price point. The radio is still one of the best places to hear new artists, along with deep cuts from old favorites, and keep up with the latest news. The Yamaha R-N303 has 40 AM/FM presets, so a listener in an urban area can find favorite channels with the press of a button. If you live in a rural area, want to pull in stations from the next town over, or simply want the strongest signal you can get, replace the thin wire antenna that comes with your receiver with a more robust AM/FM antenna. Those good old red-and-white stereo RCA connectors have been with us a long time, for good reason. 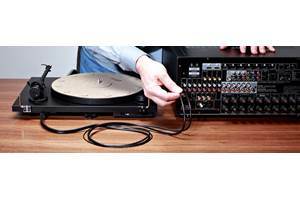 They’re so handy for connecting CD players, cassette decks and turntables. If you plan to connect a turntable to a receiver, find out if your receiver has a built-in phono preamp. If not, you’ll need to run the output from the turntable to a separate phono preamp. 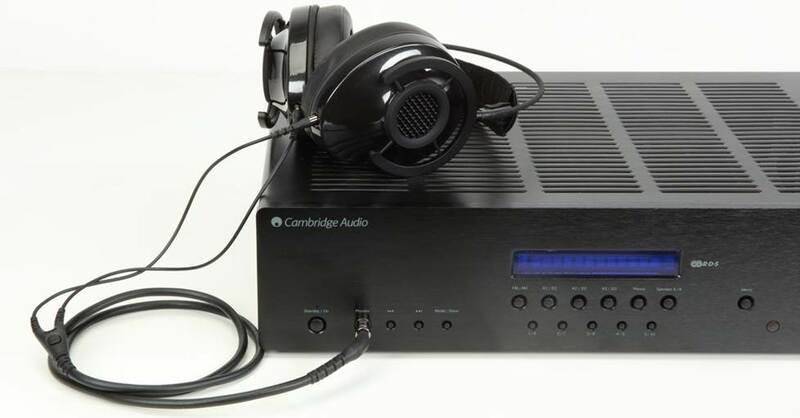 Audiophiles often prefer an outboard unit, which can provide more sophisticated options than a built-in phono stage. You’ll find balanced inputs on high-end receivers like the McIntosh MAC7200. These are compatible with XLR cables that can transfer sound signals over much longer distances without signal loss or added noise. 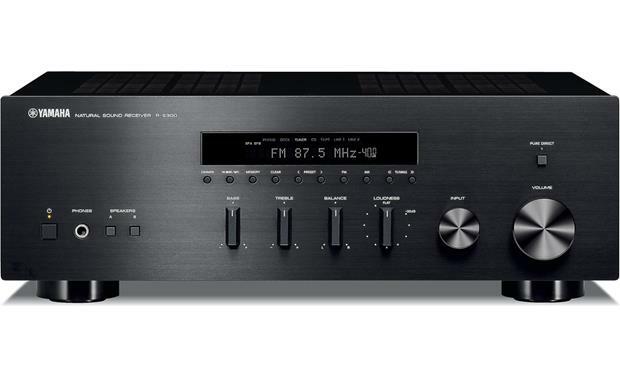 Most stereo receivers feature a couple of standard digital inputs — optical and coaxial. I like to use these to bring in digital audio from my TV or gaming system. Sound effects, dialogue, and music really come to life when played through a receiver and a good set of speakers. Make sure the USB port on your receiver matches the device you want to use. There are a couple of types of USB jack that receivers use, and you’ll want to make sure you get the one you need. 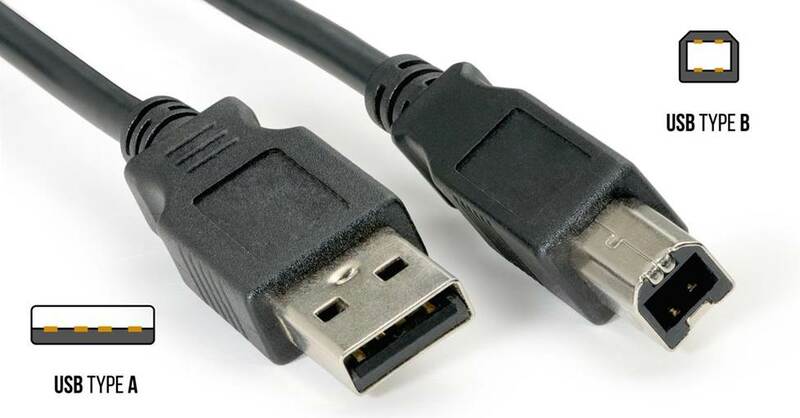 A Type-B USB input is good for connecting a computer, if you want to stream tunes from files stored on your hard drive. Many receivers have a Type-A USB for connecting a flash drive full of favorites. Since we’re streaming content more and more often, many receivers will feature an Ethernet port for connecting directly to your router. 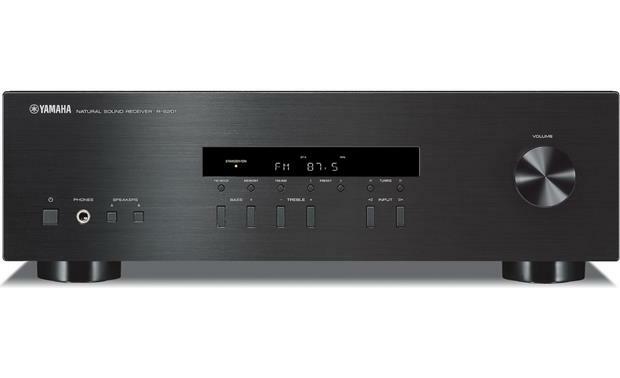 The Integra DTM-7 is one of the rare stereo receivers that includes HDMI inputs. Some receivers feature HDMI inputs. Look out for features like 4K and HDR compatibility to make sure your picture looks the best it can when passed through the receiver. The most important outputs on a stereo receiver are the speaker terminals. They may be simple spring clip connectors on an entry-level receiver, but most have binding posts. The posts may even be gold-plated to improve conductivity. Banana plugs offer a convenient means for making solid speaker connections. Some receivers like the aforementioned DTM-7, have line-level RCA outputs that let you set up a second zone with a separate stereo amplifier or a pair of powered stereo speakers in another room. This receiver has just about any connection you could ask for, including a "line out" for setting up a second zone. You may just need one pair of speaker terminals, but many receivers have two sets, labeled A/B. This allows you to set up a second pair of speakers – perhaps on the patio or in another room – that can play music in one, either, or sometimes both rooms. The only catch? You can’t play different sources in the A and B locations. It’s always nice to see a single RCA output labeled “SUB,” because that means you can add bass – via a powered subwoofer - to your system. Traditional systems - like the one my dad had in the living room – rarely had the option to add a sub, but these days, more listeners crave that deep, musical bass. 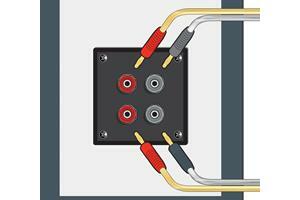 Subwoofer cables are heavily shielded and grounded so they don’t introduce hum or noise. And let’s not ignore the humble headphone jack! For late-night TV binges, or rocking out when others need quiet, nothing beats a great pair of headphones. 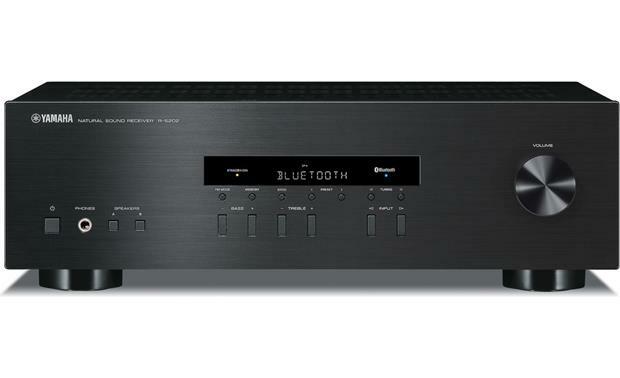 Wi-Fi and Bluetooth are now commonly found in many stereo receivers. You can use a mobile device to wirelessly stream music to the receiver, and take advantage of built-in support for popular streaming services like Spotify, Pandora, Deezer, TuneIn, and more. You can also stream music from the receiver to wireless speakers and create a multi-room audio system. 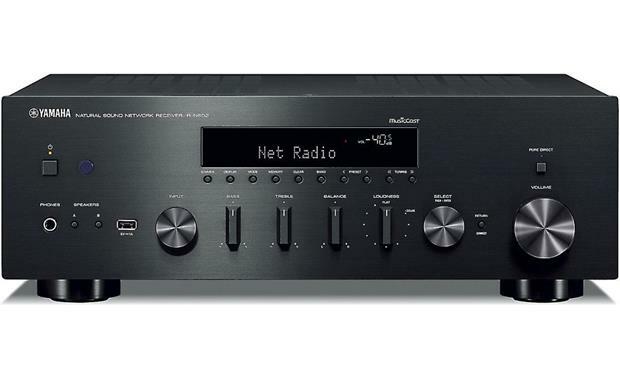 Yamaha equips their Wi-Fi enabled receivers with a proprietary technology called MusicCast. You can download the MusicCast app to your phone to build playlists and stream music to the receiver, which beams it out to other MusicCast-capable devices. Then it can stream out any source, wired or wireless, to just about any bluetooth speaker or a pair of headphones, making it great for private, late-night listening. Apple AirPlay 2 supports wireless multi-room streaming from Apple phones and tablets. DTS Play-Fi is a wireless multi-room audio system that doesn’t care what brand you like, as long as it’s Play-Fi enabled. Chromecast built-in lets you stream audio and video from a mobile device to your receiver and TV. If one of those systems appeals to you, you can find a receiver that has it built in. Ever get a sudden whim to hear a specific song? 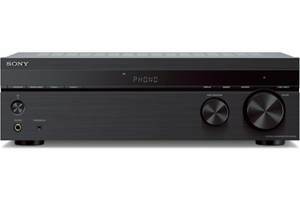 Stereo receiver manufacturers are starting to add voice control compatibility into their products. If you want to control your system with Alexa or Google Home, you should be able to find one that suits your needs. 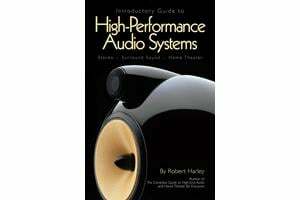 You certainly can use your stereo receiver to enhance dialogue and sound effects from TV and movies. 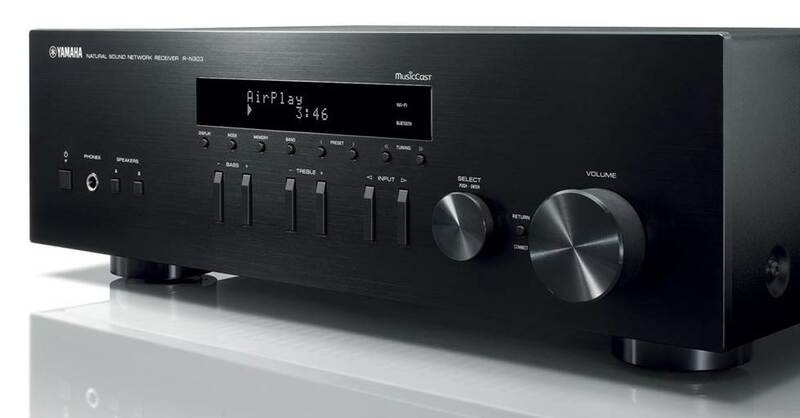 If you want a more immersive experience, check out our buying guide for home theater receivers, which offer up to 13 channels for adding surround sound speakers. You can call us at 1-888-955-6000, or contact us by email or chat. 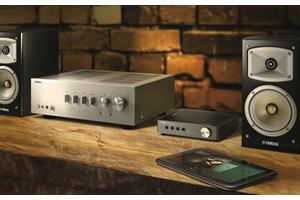 Our friendly, knowledgeable advisors can help you zero in on the perfect stereo receiver to build your system around. I listen to FM radio a lot, and I'd like to see more information about the tuner sections of your receivers. "Local" FM can mean a weak college station on the other side of town, and a good tuner can make all the difference between an annoying, scratchy sound and something more listenable. More FM specs, please! Don - That's true. If manufacturers provide us with information on the strength and sensitivity of the receiver in the manual, perhaps we can pull that out and start listing it in the bullets. Thanks for the suggestion! Frank - I'm a fan of Denon. I consider them to be a very strong mid-level receiver with lots of features, which is what I tend to need in my living room. I think you'd be very happy if you went that route. How can I enhance the sound of the Iphone music and Pandora. SiriusXM plays awesomely and lovely. The IPhone and other apps sound terrible through the Yamaha RN 602. Is the a Bluetooth amplifier I can commect to the reciever? Pardon my lack of sterophile knowledge but I'm new to the process. Any advice will be greatly appreciated. Dan - Unfortunately, Bluetooth is more useful for convenience than high sound quality. The best way to improve the quality is to make a wired connection. Bluetooth protocols do get better all the time, so hopefully we'll all see an increase in sound quality in the future. 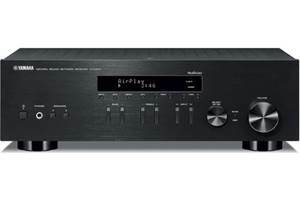 Do any of the stereo recievers that have a preout sub connection offer bass management like the home theater receivers have? I do not care for the sound when I have to connect the speaker wire directly to the sub and the run wires from the sub to the speakers and have to rely on the crossover in the sub. Gary - Many if not most of them have room correction software that you can tweak with an app, so you could probably achieve what you're trying to do that way. I hope that answers the question! 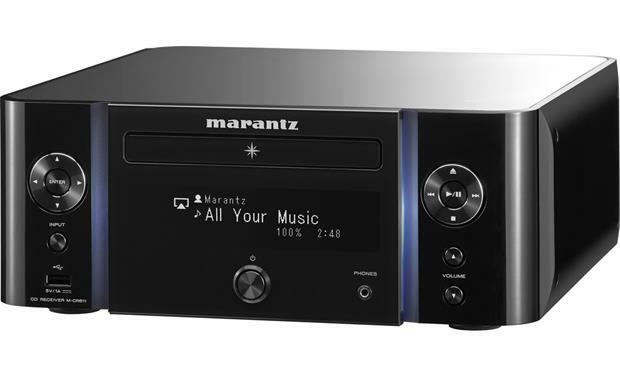 But these new receivers don't have the looks of the old Marantz, Onkyo and Pioneers. Oh, I'd have to agree, Bob. Aesthetics really have changed throughout the years. We're just along for the ride. You bet, Jimmy. It's always nice to sell one or two high-end receivers, but most of us - me included - just need something solid and reliable that can handle all of the music sources we've become accustomed to.